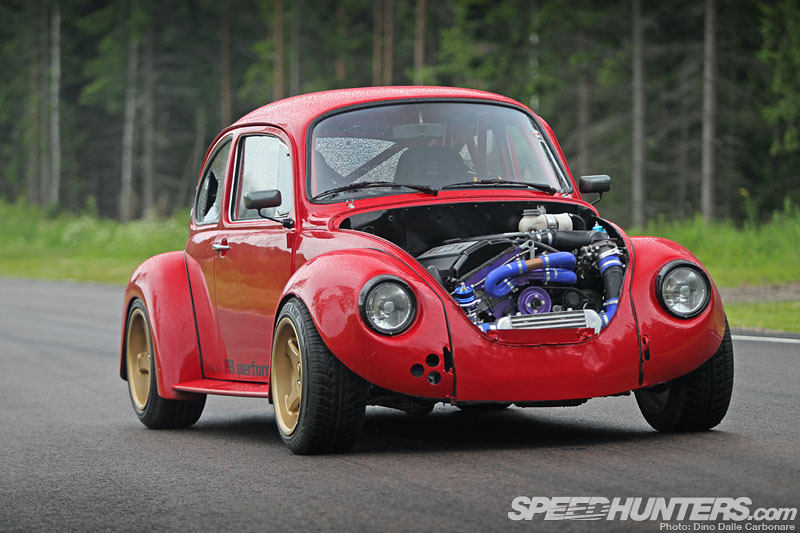 … so for the last day of our ‘Scandinavian Month’ I present you something that takes it up one more notch, Joakim Karlsson’s BMW-powered, front-engined 1973 VW Beetle. 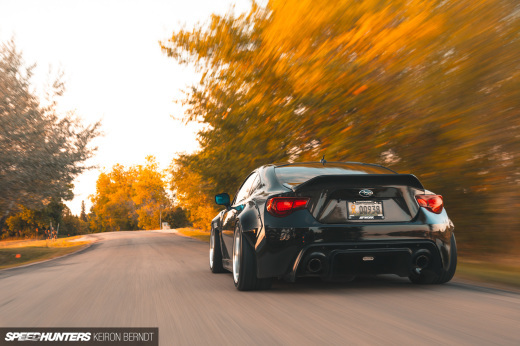 Performance is an important perquisite for any Gatebil car, seeing that they are built for the sole purpose of going fast or/and burning copious amounts of rubber. But while power isn’t usually the hard part to get right, making one’s project stand out is where real outside the box thinking is required. 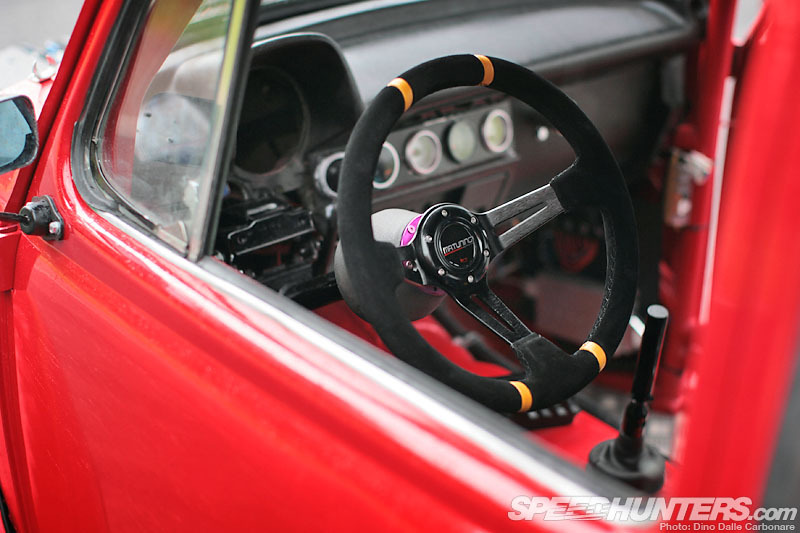 The space the car’s original air-cooled flat-four used to sit in is actually ample enough to accommodate a variety of other interesting boxer motors, but Joakim wanted to go for a more balanced set up, one that would allow the car to be steered on the throttle and be far more docile when being thrown around. 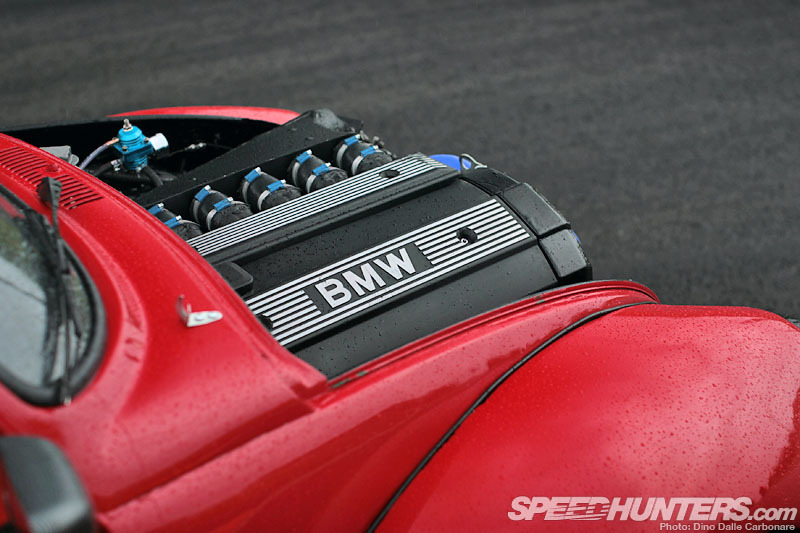 The borrowed BMW M50B25 then manages to kill two birds with one stone, supplying the power as well as taking care of the weight balance by being dropped into the front of this particular Bug. 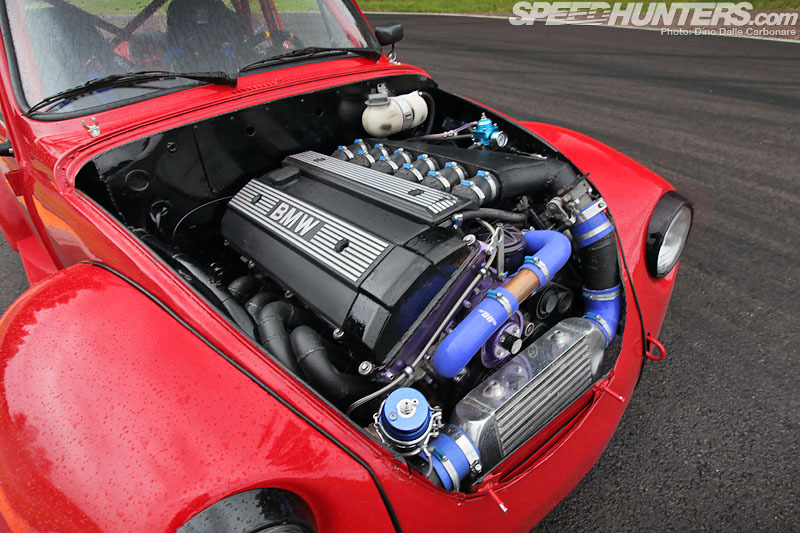 This isn’t exactly the view you expect to see when you open up a Beetle’s hood! 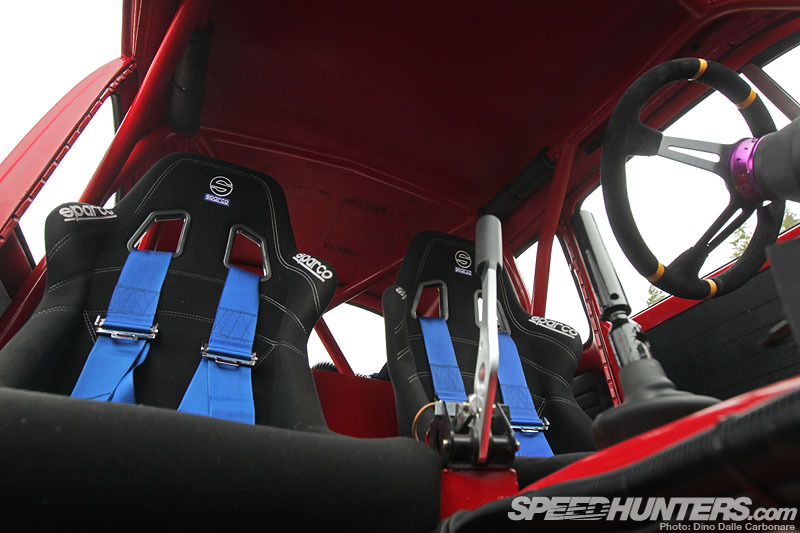 As you can see things are mighty tight in there and it took a lot of custom work to make it fit, starting off with a BMW E30 front clip, cut up and strategically mated to the base chassis. 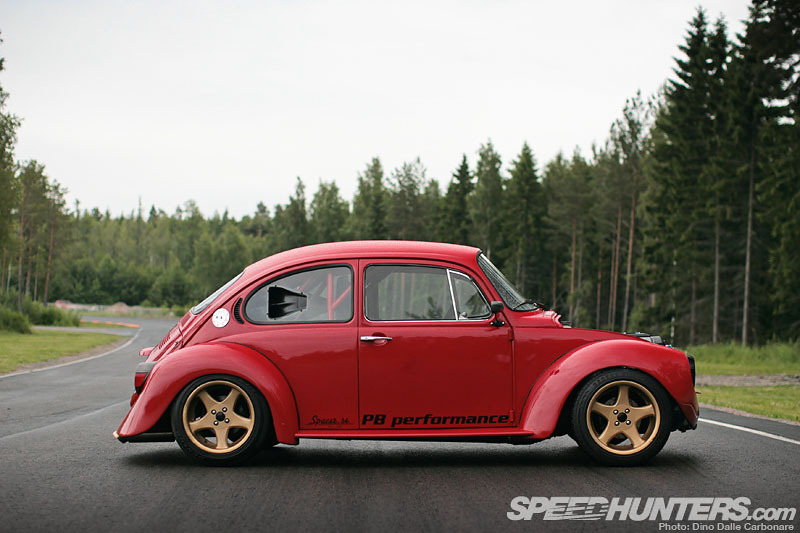 This, aside from allowing the big straight-six to fit, allowed the use of more modern suspension, made up of Golf Mk2 coilovers and modified knuckles to guarantee as much steering angle as possible. 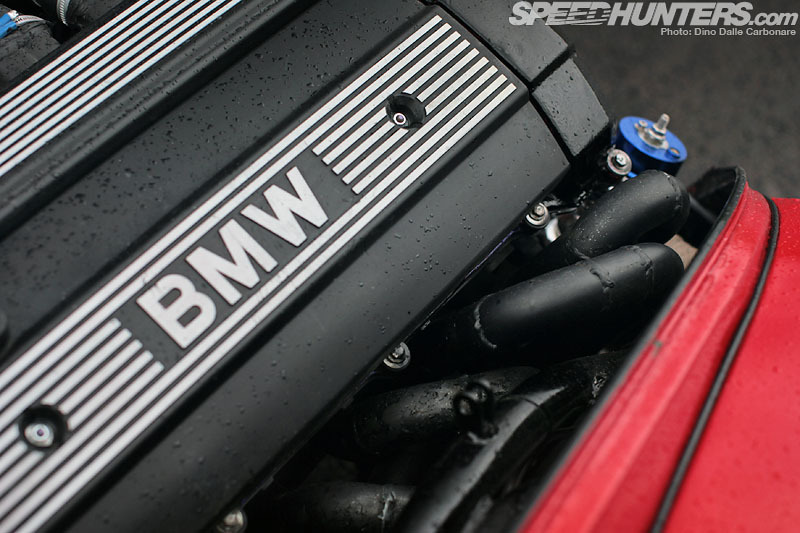 The M50 itself has been turbocharged, its 192 stock hp doubled to around 400hp courtesy of a low-mounted GT45 turbocharger mounted on tightly curved custom exhaust manifolds and kept to optimal boost thanks to an external wastegate. 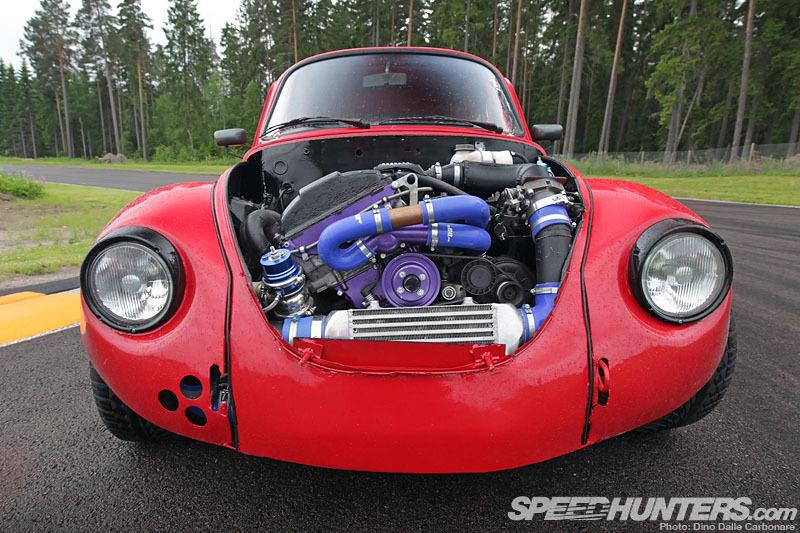 A compact yet thick intercooler just manages to fit in front of the motor while the custom intake plenum feeds each of the six cylinders. As you can see the engine has been mounted as low as possible to help keep handling and the way the car pitches and rolls in check. 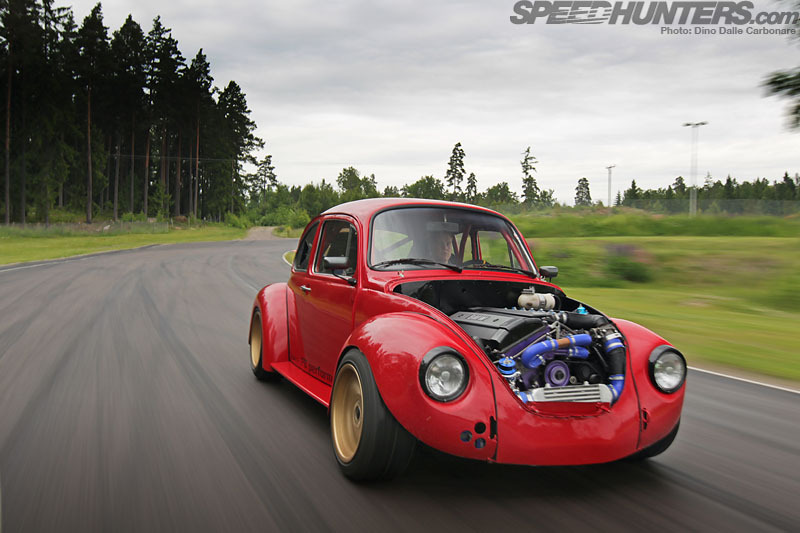 The custom driveline is composed of a Getrag five-speed transmission with the 400 horses juggled via a Sachs 618 pressure plate and uprated clutch, with an E30 rear end apportioning drive to the rear wheels. 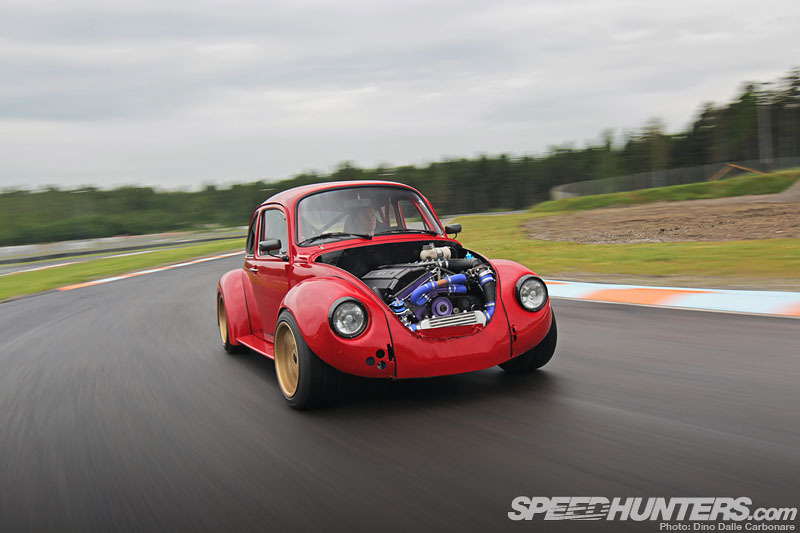 When we met with Joakim at Gröndals Motorstadion for the shoot the car had never driven under its own power – it was literally finished days before. 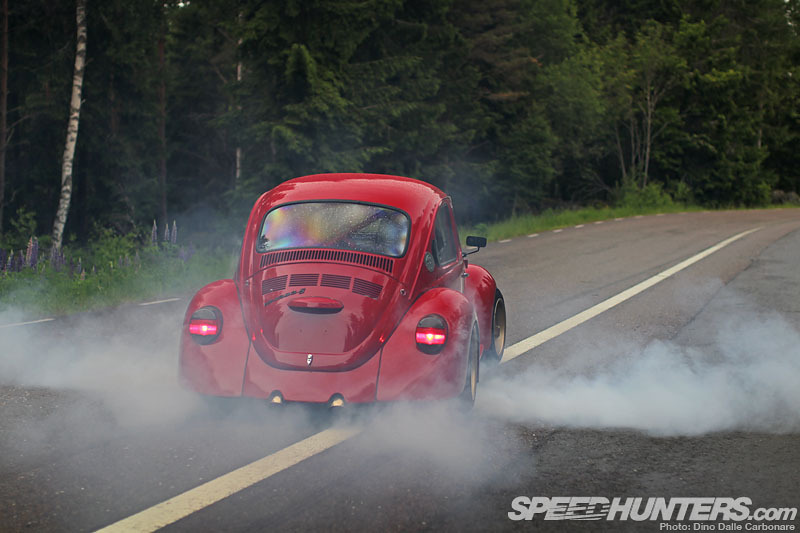 … not to mention sneaking in a few driving shots of this rather unique Bug. 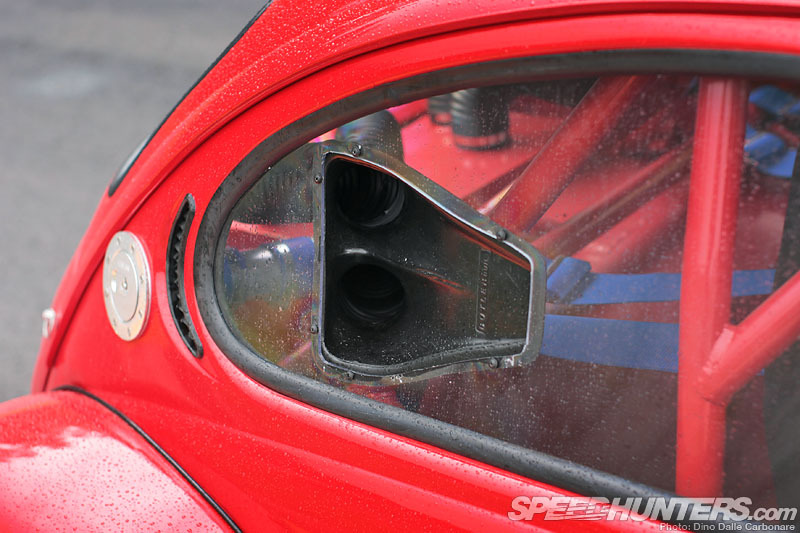 … the air scooped up by the two intakes on the side glass. 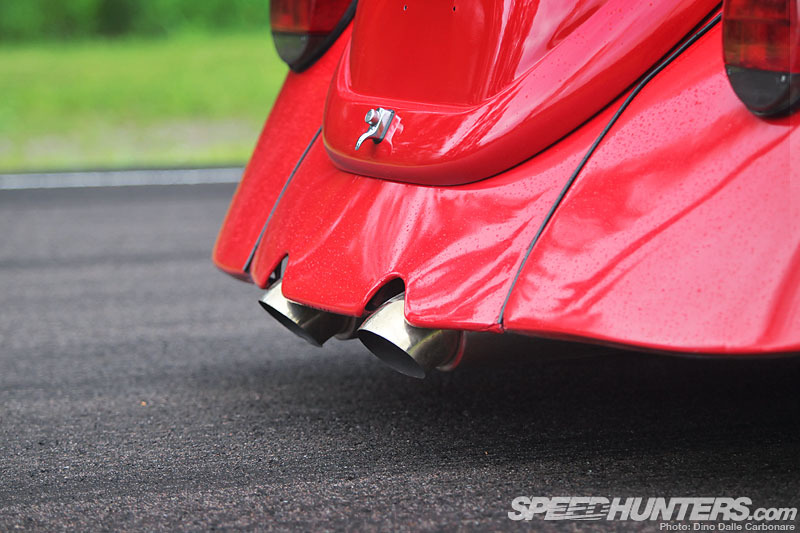 … well maybe the big bore downturned center exhausts might give something away as they certainly don’t look or sound stock. 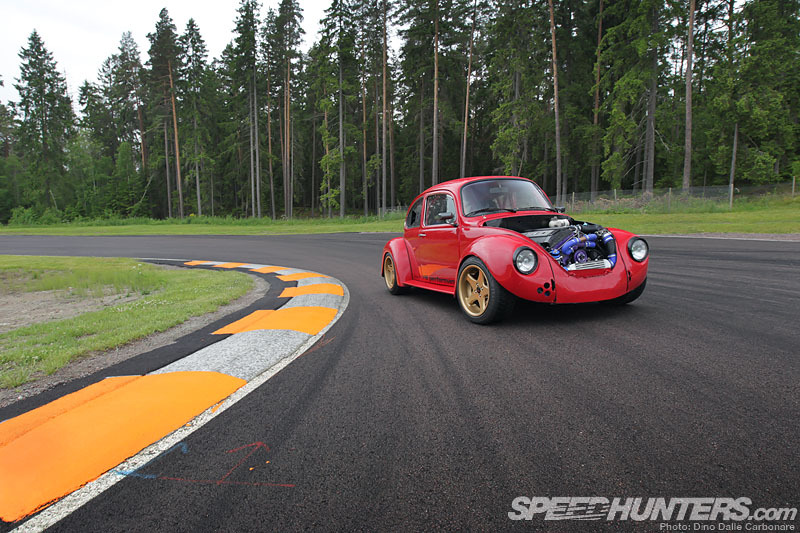 With the power and all mechanicals taken care of, it’s the handling that Joakim now has to work on, trying to take the edge off the snappy nature of the car given its somewhat short wheelbase. 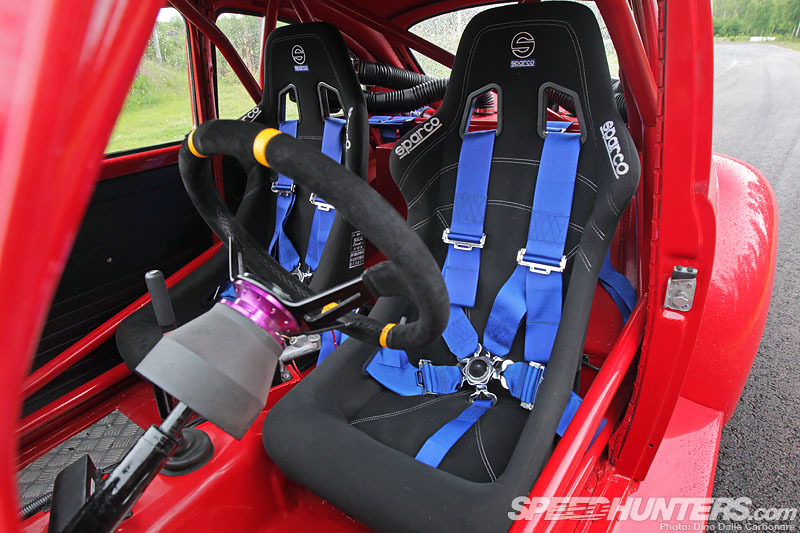 … as well as bucket seats and five-point harnesses to keep you in place through the more violent transitions. 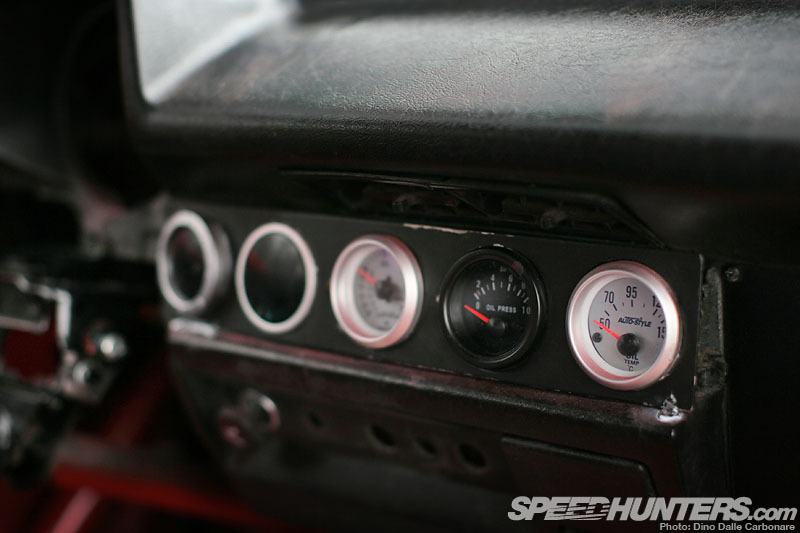 A collection of gauges have been mixed and matched and fitted onto the center of the dashboard for easy consultation and to complete the simple interior treatment rather well. 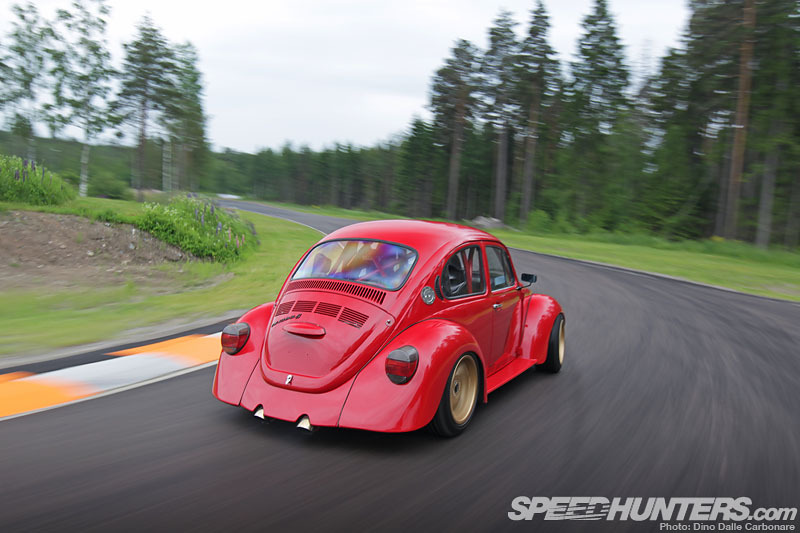 Joakim’s Beetle perfectly represents the spirit of Gatebil where unique ideas are matched by equally ingenious solutions for the sole purpose of having tons of fun out on track. 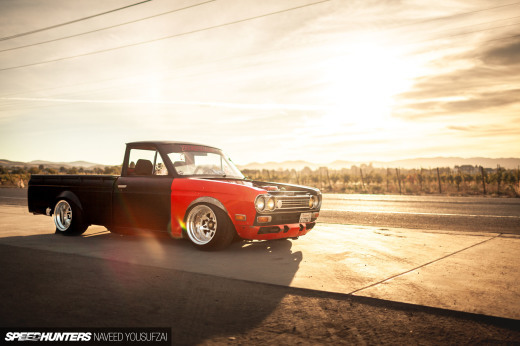 Will we ever get tired of engine-swapped wild rides like these? Definitely not, that’s for sure! 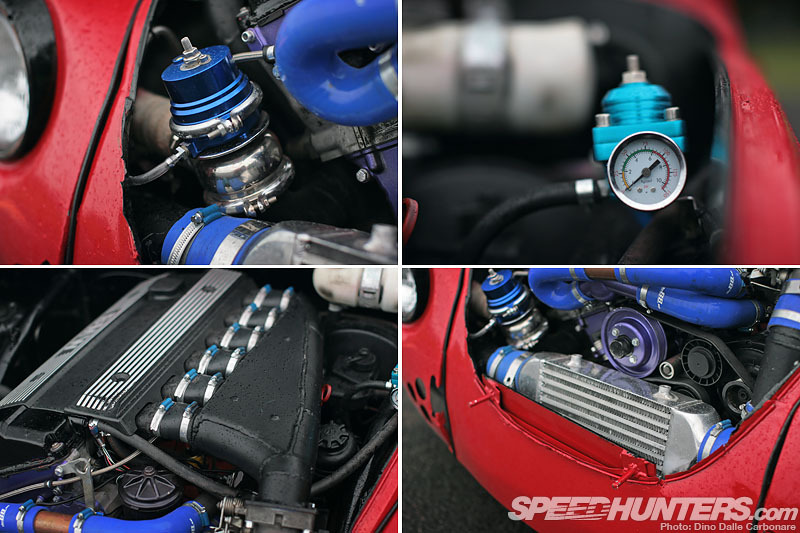 Really clever build how they solved issues to accommodate for the powertrain but IMO it seems like it would overheat like crazy. The radiator is too far away and the pump works harder plus the heat generated from the turbo doesn't help. I also noticed what appears to be a mounting bracket partially blocks the already small intercooler. I think this is why they kept the hood off for the shoot. 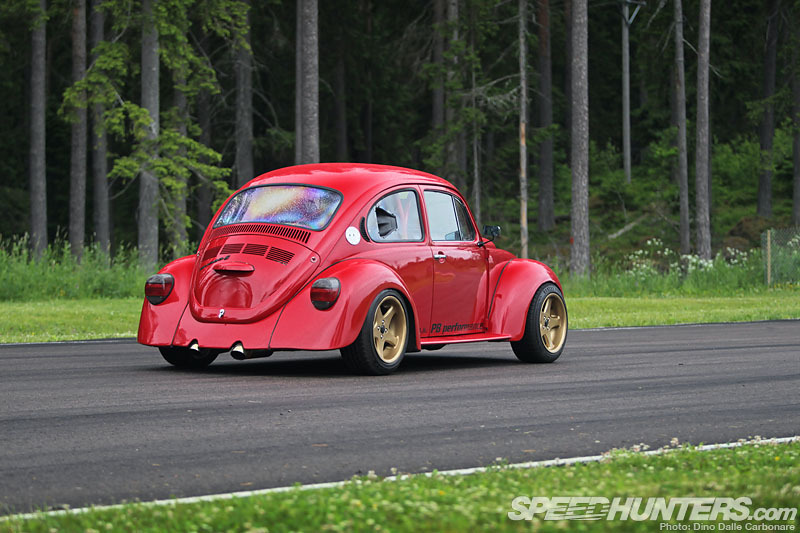 the hood needs vents directed towards the turbo and the intake and side vents exiting behind the front fenders. 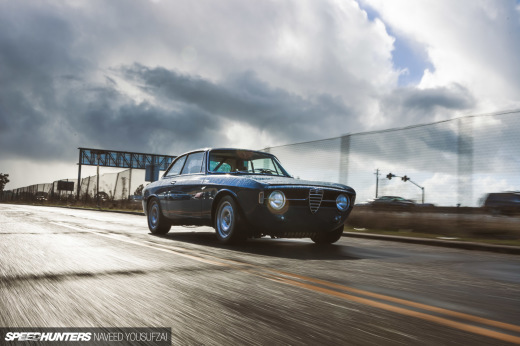 Stll overall great build and execution just needs some refinement as all projects of this type and level of ambition. 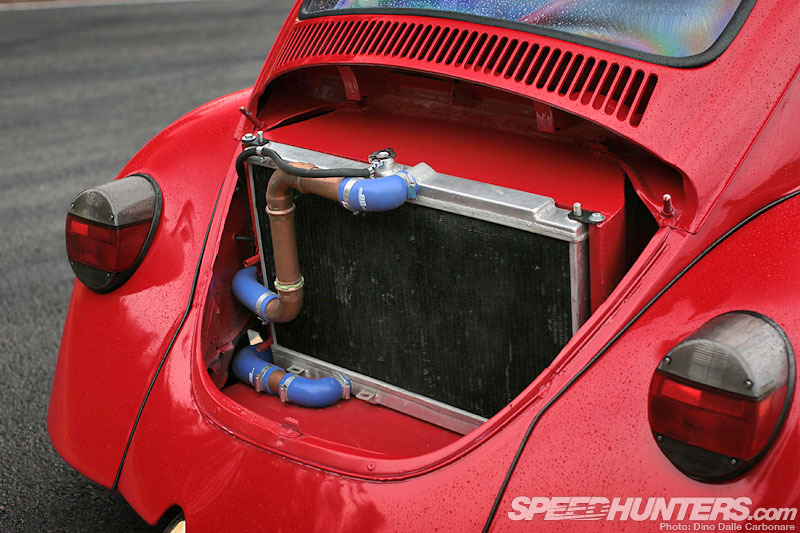 Having the intercooler in the trunk can cause problems but because of the long piping it allows for more coolant, also he has vents in the back windows plumbed though I the trunk and through the rad. It probably does get pretty hot though. I agree, the point of a personal build, unless built for a specific event, is to have fun while building and afterwords.